With an upcoming Anglican Cathedral date in their sights, Anathema descended on Manchester Academy for a typically breathtaking performance, Getintothis’ Laura Coppin on the Liverpool leviathans. Merseyside prog-metal outfit Anathema are to play Liverpool’s Anglican Cathedral on March 7 2015. 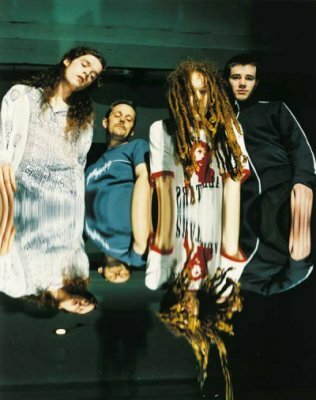 Following their successful UK tour, which included a date in the stunning surroundings of Gloucester Cathedral, Anathema have announced a string of acoustic cathedral concerts closing in the spectacular setting of of the Anglican. The tour opens in Leeds on March 4, passing through Exeter, Winchester, and finally Liverpool. If their recent Manchester show is anything to go by these dates will prove unmissable for the discerning rock fan. Earlier in the Autumn, Getintothis found ourselves queuing once again for one of Manchester Academy’s. Standing in line for one of the three venues feels like a ritual as old as time: one part trickling rain, the other parts glinting headlights, shuffling crowds, and gruff cries of ‘any tickets to buy or sell’. Yet the cries ringing out on this particular Tuesday evening held an unusual air of desperation – there were no tickets at all to be found. 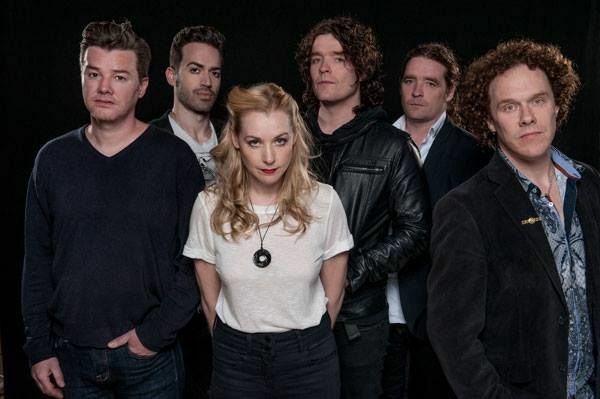 Anathema’s hotly anticipated date at Academy 3 had been sold out for some time, a feat the band have managed comfortably on an impressive number of dates across their Satellites over Europe tour. The crowd faced by Austrian support act Mother’s Cake was remarkable in its diversity; young and old, male and female, metal head and prog rocker – all united in their tangible excitement. 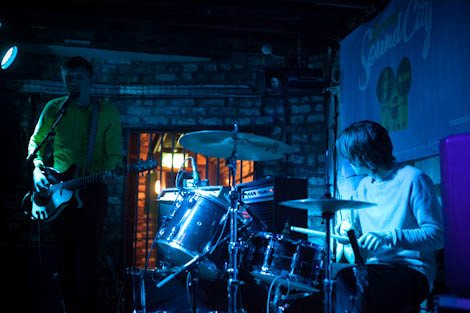 If the packed crowd intimidated the young musicians however then they showed no sign of it, launching into their trademark jangling groove with impressive confidence. In many cases fans as devoted as Anathema’s can make for a tough crowd, but they proved to be remarkably receptive; whooping and cheering throughout their set. To their credit Mother’s Cake certainly played well, even if at times singer Yves Krismer’s voice seemed to falter slightly. As one might imagine, this is not a criticism that could be levelled at either Vincent Cavanagh or Lee Douglas. From the moment the first note of The Lost Song Part 1 rang out until the closing notes of Fragile Dreams, the singers’ voices were almost unnervingly perfect. The audience listened in rapt silence as each note soared through the air, weaving through the similarly perfect music issuing forth from the rest of the band, screaming to the rafters as soon as each song reached its end. For a band as breathtakingly accomplished as Anathema, there is little need for stage banter. Launching effortlessly from track to track, the band gave an emotionally raw performance which left all witnessing it with their hearts in their mouths and their hands clutching their chests. Universal was a particular highlight of the set, with voices across the packed space joining Vincent’s with a joyous lack of inhibition. The only blip in proceedings arose from the remarkable array of technology the band had brought to the stage, with things cutting out rather suddenly during the first few seconds of Closer. Danny Cavanagh swiftly filled the void however, starting an impromptu sing-along with the crowd which immediately dispelled any potential awkwardness. Overall, Anathema’s performance was nothing short of remarkable. Each member brought their own piece of magic to the set, enthralling the audience from the moment they took to the stage. For anyone reading this that has not yet managed to see them, we beg you: get a ticket while you can, by any means necessary.